The Super Full Moon arrives at 22 degrees of Taurus on Monday, November 14, at 8:52 AM EST. 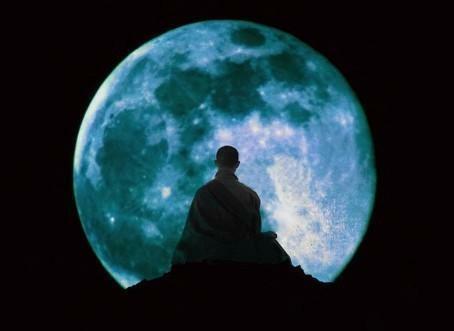 Super moons imbue an already highly vitalized full moon with heightened emotion combined with enhanced conscious awareness brimming with clarity. We are gifted with the visual luminescent spectacle of the Moon’s close proximity to Earth. Do look up over the next 3 days! Coupled with her sheer magnificence, we are endowed with intimate moments in which to become closer to ourselves and ea ch other. Full Moons offer us a pinnacle moment in which we have the opportunity to fully realize an area within our lives, our psyches, our environment and the greater world. A potent truth, a prodigious illumination, a glistening awareness, alters the course of our set direction, as now we are navigating with a fresh perspective of our inner compass. At this time, Taurus the Bull, is attuning us to the inherent values of our soul. In recognizing these values, in questioning whether or not we are adhering to them in our daily lives, we also assess whether or not we are truly in a place of valuing our authentic selves. For it is only when one truly values the self, that we can value another. This Taurean Moon inspires us to value ourselves and each other as we all walk this path together at a most disparate juncture in our collective journey. Taurus is a fixed earth sign, ruled by Venus. When the Moon is in Taurus, it is exalted. This is the highest expression of the Moon. The qualities of silence, patience, steadfastness, determination, loyalty, peacefulness, tranquility, sensuality, beauty, nature, musicality and grounding are themes which are quietly beckoning us to their attunement. Wherever Taurus resides in your natal chart is a distinct area in which you must live closely aligned to your particular values. It is a sector whereby valuing the inherent beauty of the self will only enhance your expression in the world, the positive affect you have upon others and the way in which you view and experience life. In essence, wherever Taurus resides within you, is where you can relax. It is where the theme of your particular brand of peace resides. There, all is well, as long as you embrace your true value in a manner whereby you receive your divinity within your humanity. What do you value about yourself? What is important to you? Who is important to you? Are you expressing yourself in a manner in which you are aligned with your core values? How can you honor your true nature? What brings you peace? How do you offer peace to others? What makes you happy? Where do you find your deepest tranquility? As Taurus is the quintessential earth sign, communing with nature at this time offers healing and rejuvenation. Other Taurean activities such as making music, listening to music, nurturing the body through touch, pleasing the palette and quiet contemplation will serve you greatly at this time. Despite worldly appearances, we are offered a deep swim in the sea of tranquility. Inner peace is available for the taking. Slow down and breath deeply over the coming days. FULL TAURUS MOON BLESSINGS UPON YOU. of light, and of peace.